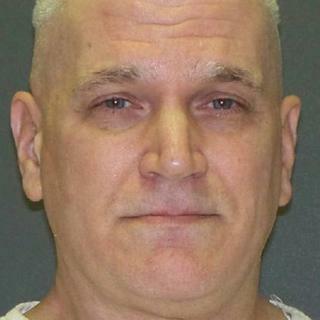 "Well hi, Mary Jean," a Texas death row inmate said to his ex-wife as he was executed for murdering their two daughters in 2001. The former accountant murdered his six- and nine-year-old daughters in his apartment as ex-wife Mary Jean Pearl listened helplessly on the phone. Battaglia and Ms Pearl divorced a year before the killings. When the girls arrived at his Dallas apartment he called his wife and put her on speaker phone. A few seconds later Ms Pearl said she heard her daughter say: "No, Daddy, please don't, don't do it." Ms Pearl then heard gunshots and screams.